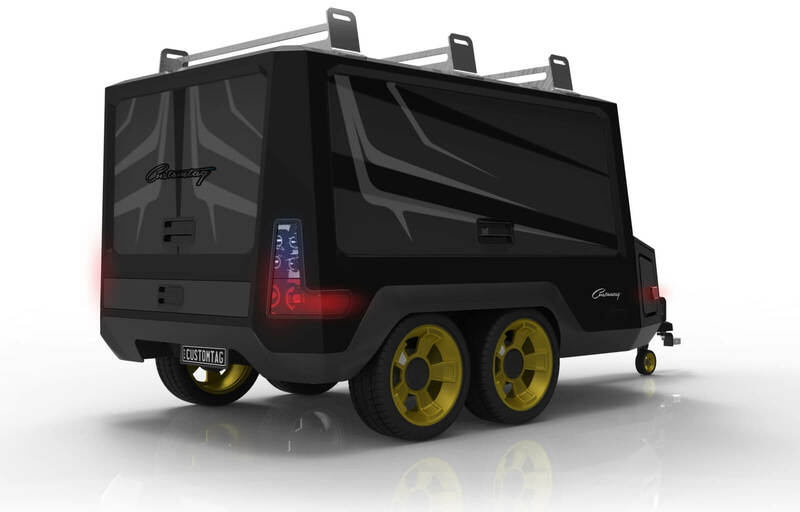 The guys at Customtag have long been asking the question- “why are tradesman’s trailers so crudely designed and look so ugly?” They were looking for a trailer that not only reflected the features and design aesthetics of a modern utility vehicle, but could also function as a workspace and storage unit. 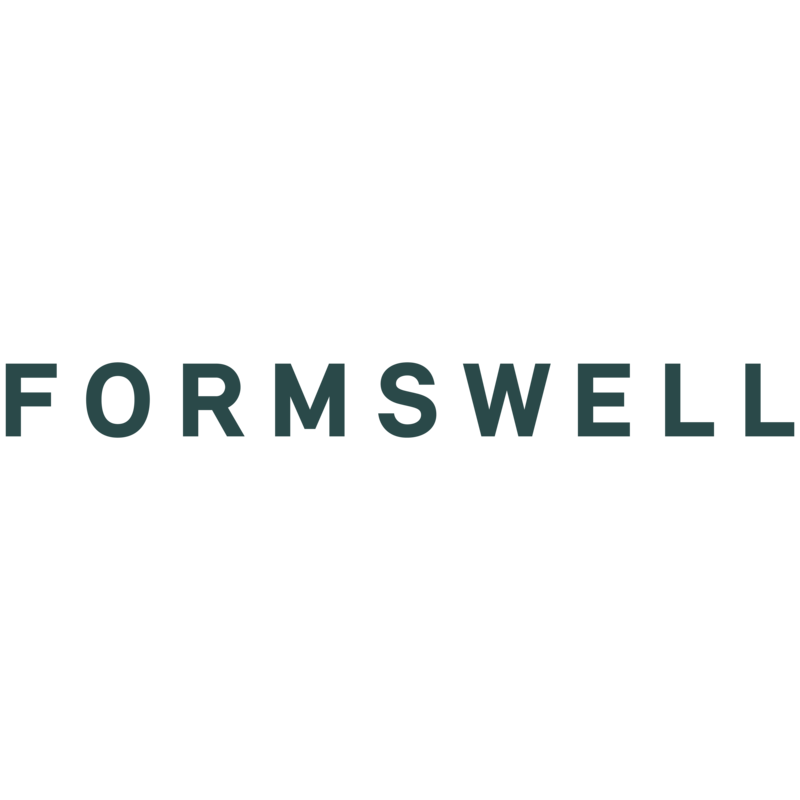 To identify a strong design path, Formswell researched the tradies vehicle market , along with the needs of varying types of tradesman. 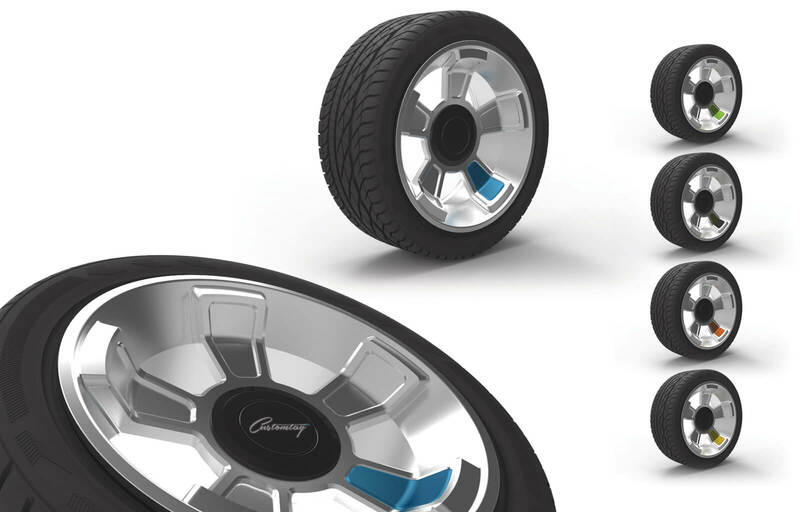 What was realised in the final design is a trailer that not only reflects the current competitive automotive market, but can also be manufactured locally under Customtag’s manufacture requirements. 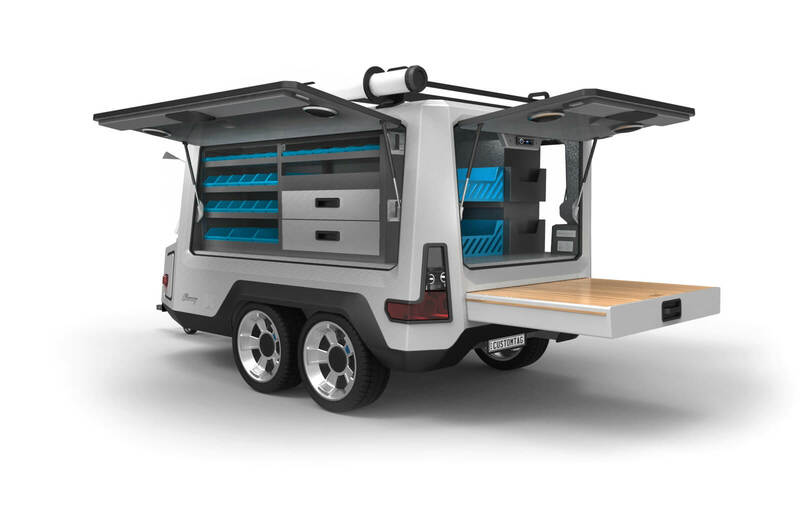 The trailer is designed so Customtag can manufacture 80% of the components in-house here in Australia, including the main body, framework and interior parts.